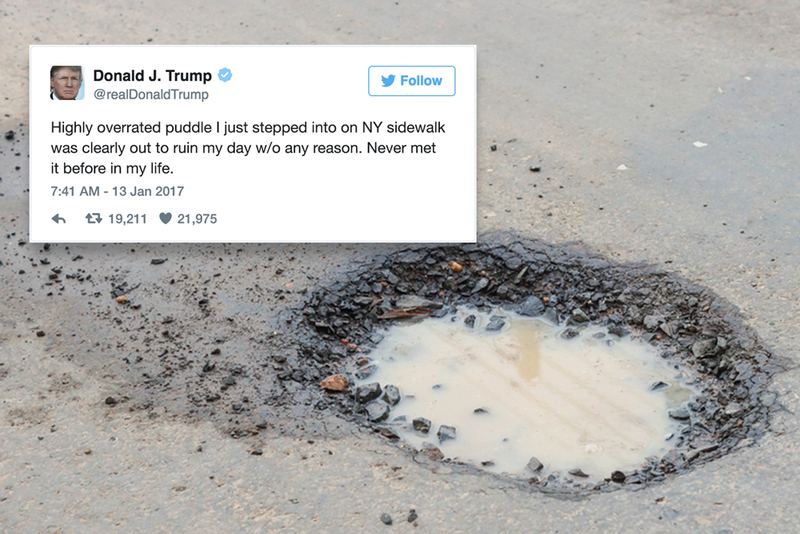 New York (dpo) – President-elect Donald Trump took to Twitter today having just stepped into a puddle in the middle of the road outside Trump Tower in New York. In his Tweet, he blasted the small pool of water, calling it “highly overrated”. He went on to say that although the puddle didn’t know him, it had ruined his day with no provocation whatsoever.